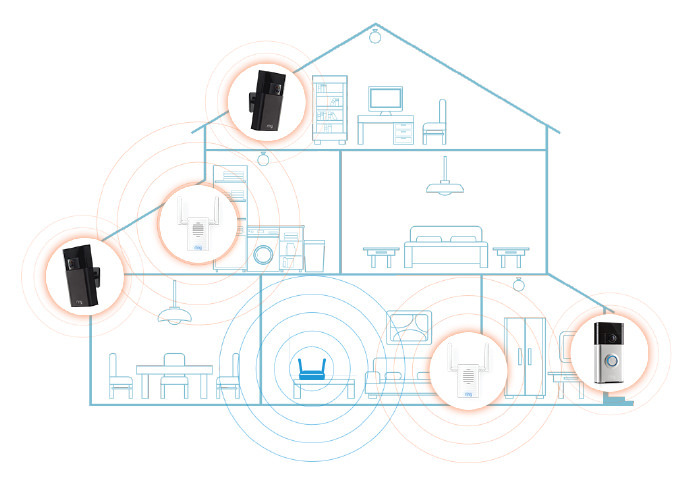 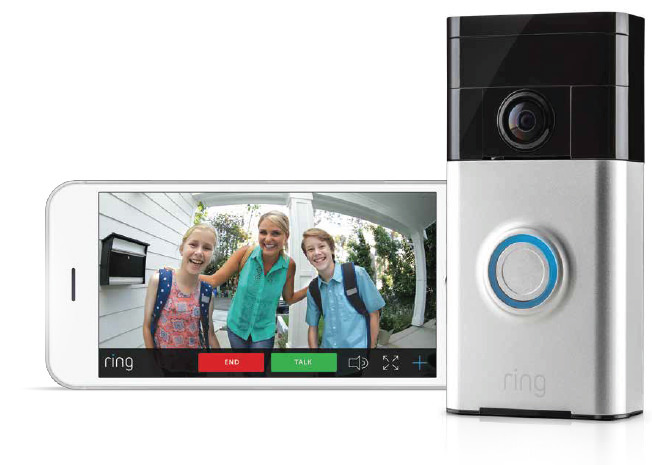 See, hear and speak to anyone at your door from your smartphone, tablet or PC. 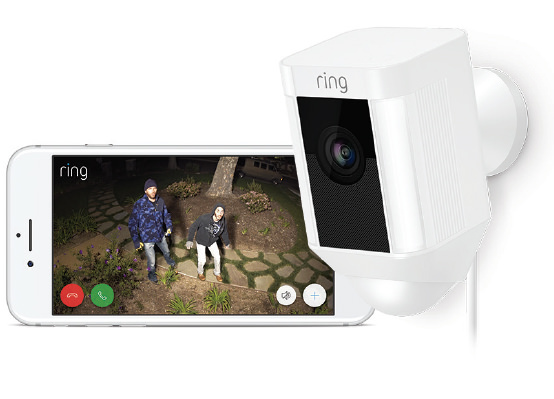 Day or night, rain or shine - with Ring, you're always home. 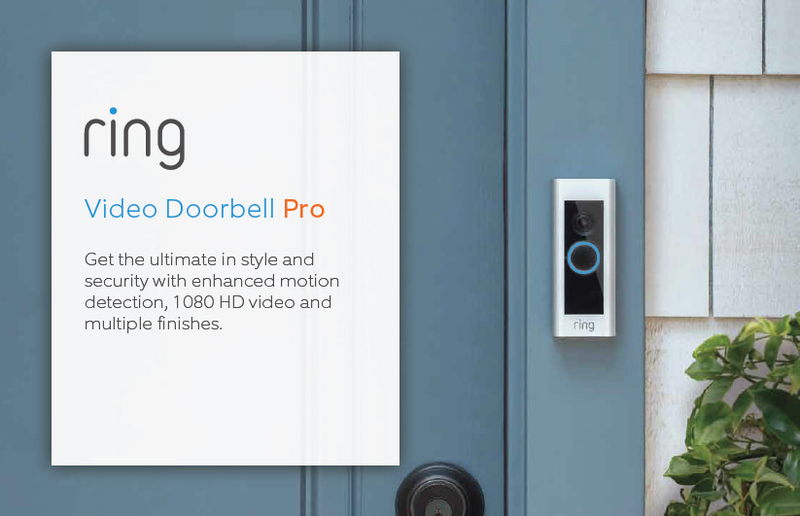 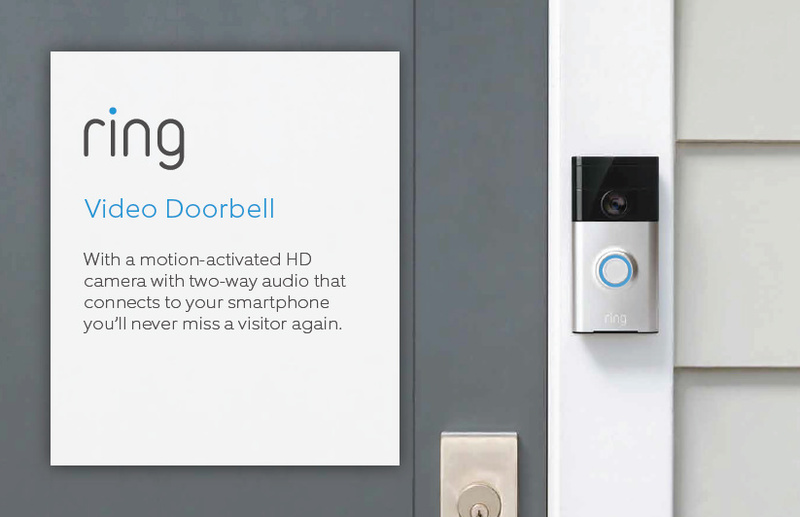 Customizable motion zones, live video on demand and a sleek design make the Ring Pro our most advanced doorbell yet. 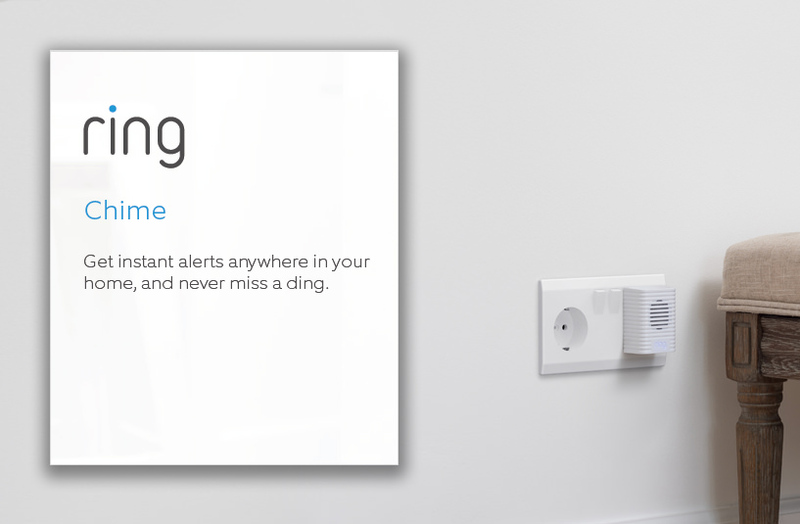 Chime plugs into any standard power outlet, so uoy real-time alerts from Ring Video Doorbell or Stick Up Cam whenever you have a visitor. 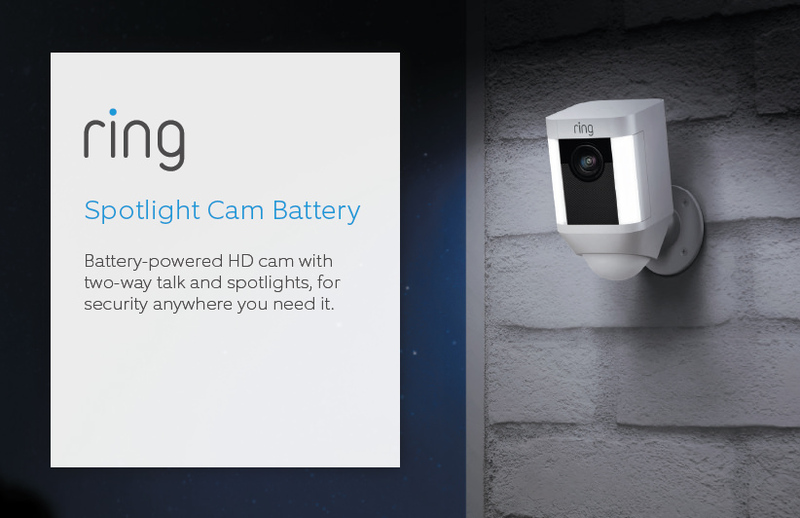 A versatile solution with a rechargeable battery pack, Ring Spotlight Cam Battery features 1080HD video, LED spotlights and a 110-decibel siren, giving you smart security at every corner of your home. 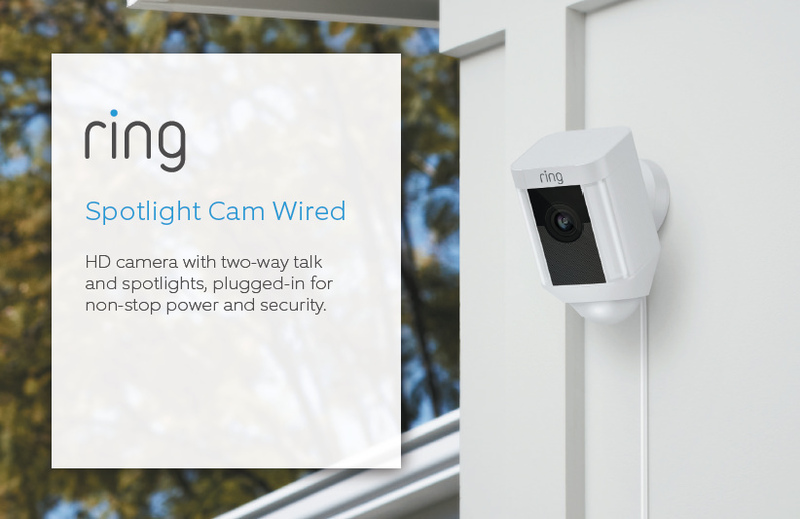 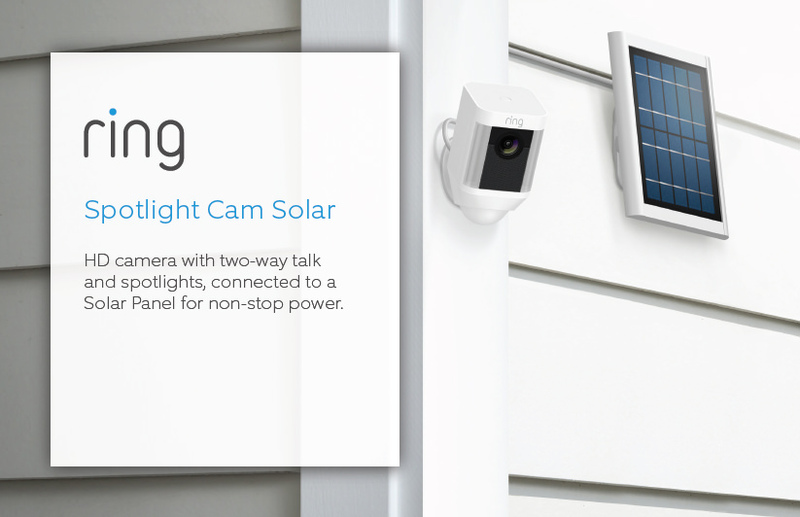 Armed with 1080HD video, LED spotlights and a 110-decibel siren, Ring Spotlight Cam Solar includes a connected Solar Panel to give your home smart security powered by the sun. 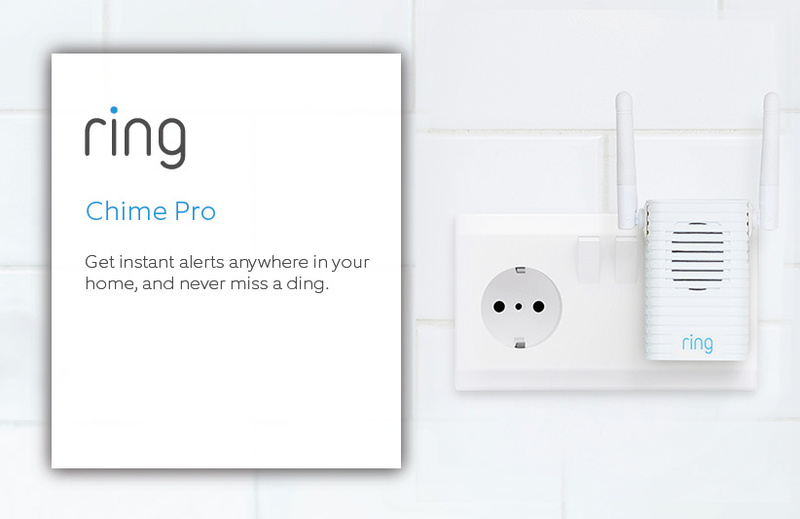 Koble til Chime til alle dine Ring-enheter og få lydsignal hvor som helst i hjemmet ditt. 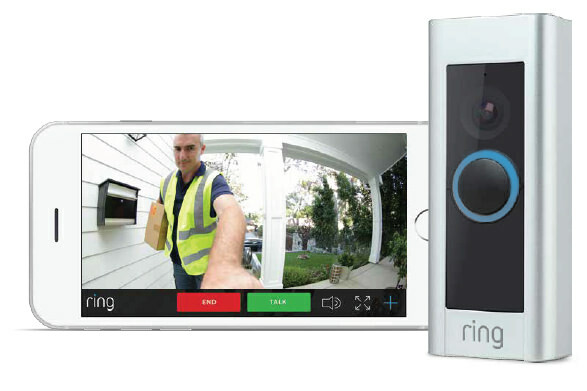 Chime kobles til en vanlig stikkontakt og kobles til alle dine Ring-enheter, så du kan få meldinger i alle hjemmets rom, selv om du ikke er i nærheten av telefonen din.